heimish – Oh My Stellar! I have only used hydrogel eye masks a handful of times in my life, and it’s usually because someone’s given me a pack to try out. 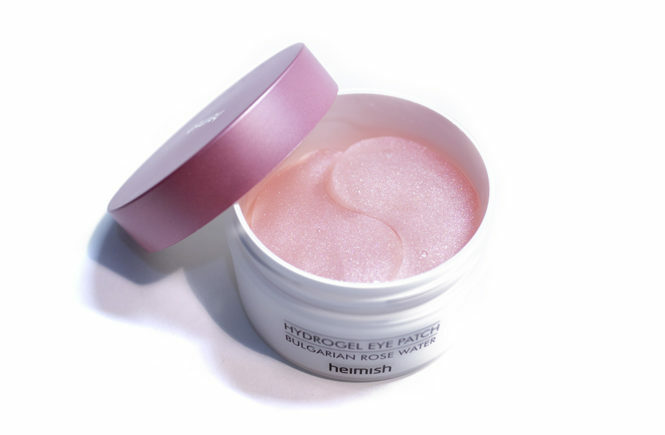 I actually really like hydrogel material masks, and I find the little eye ones really helpful to use while you’re working (or when you’d had a long day and just need to relax) – they tend to adhere really easily and, regardless of how effective the serum is, the gel is very cooling and good for depuffing eyes. The only thing that has always held me back is the cost of them! Hydrogel masks in general tend to cost more than a standard cotton sheet mask, and with a product that I would want to use on most nights, the cost adds up very quickly. However, a great thing is that some brands have been releasing them in tubs instead of individual packs and these are a lot more cost efficient! 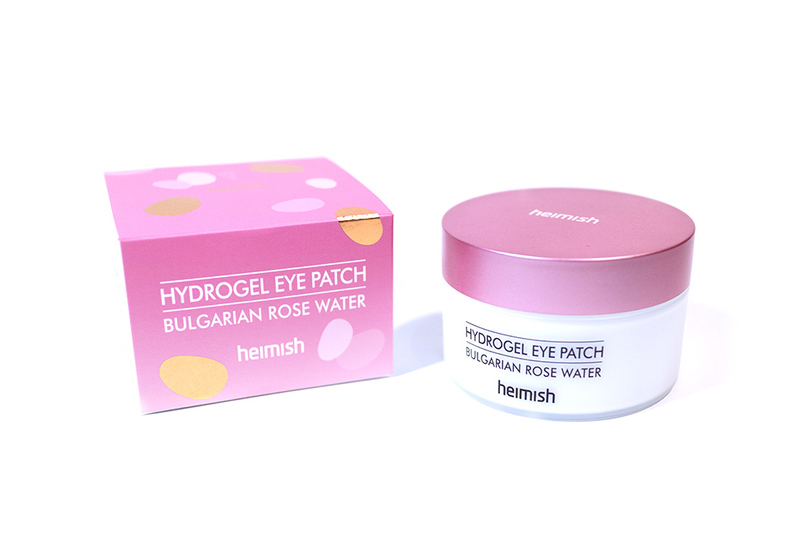 One such product is the Heimish Bulgarian Rose Water Hydrogel Eye Patch; I previously tested out their Rose Water Mist Serum and, since I found that product to be very hydrating (and pleasant smelling), I figured that this would be a good way to go. 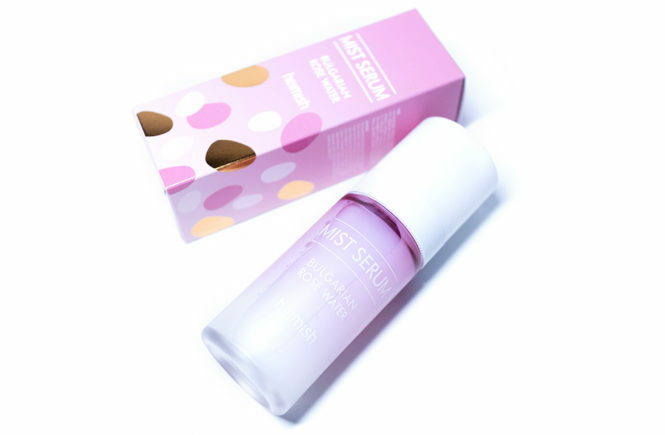 This product is selling on StyleKorean for USD$22 (which is similar in price to the Mist Serum) so you can definitely check it out there if you’re wanting to get this yourself. Otherwise, let’s just right into this review because this product is so aesthetic. When I talk to the people at StyleKorean (or any place that I collaborate with), I’m always curious to know what new product they’re looking to promote. In the past, I have been recommended products from amazing indie brands that I’ve grown to love and I just really enjoy finding new products like that. That being said, my skin did have a bad reaction to the last Heimish skincare product that I had tested (their Refresh Water was so surprisingly bad for me that I ended up tossing the bottle away because I was too hesitant to gift it to anyone) and I had figured that I was just not suited to it… which is a shame because their Cozy Coral Palette is still my favourite, travel go-to. However, when I had a look at one of their new products, I decided to give them one more shot! My skincare routine has become a lot more regular now so, even if my skin is still not in optimal condition yet (but aren’t we always working on that?) I find that I can be more aware of what products are doing to my skin. This new product is their Bulgarian Rose Water Mist Serum – part of the draw is that the packaging is just so crazy pretty, and the other is that I actually really love the scent of Rose Water and this is just my excuse to try something else out instead of stealing my friend’s Mario Badescu. 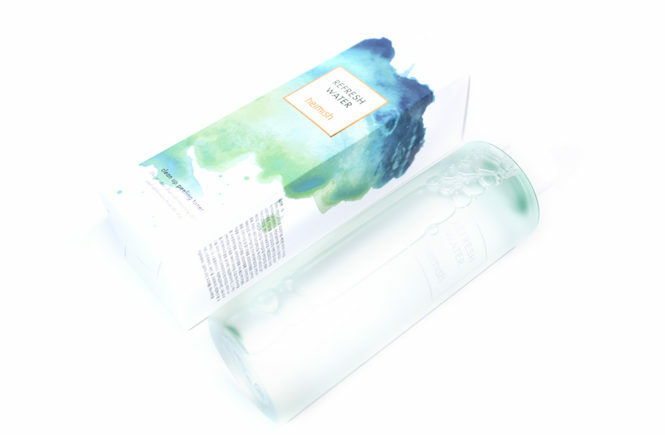 This product retails for USD$28.80 and contains 55mL – it is rather expensive for a mist, as even the Pyunkang Yul Mist Toner is only USD$21.60 for 200mL – but I figured that it might be a little more special. 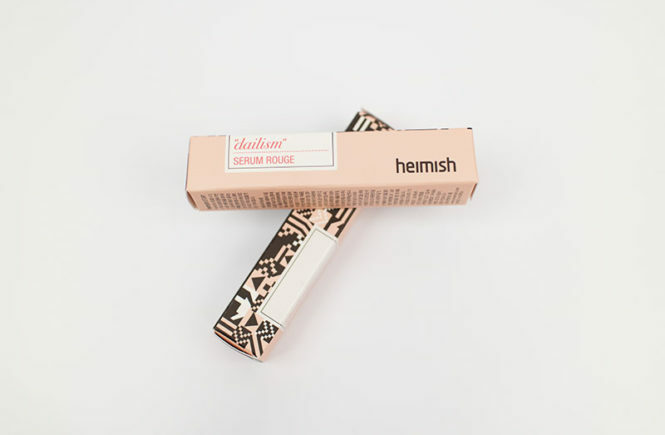 Heimish in general can be a little pricier than mainstream, roadshop brands, but I usually find that this premium pricing is reflected in the quality and packaging. So, without more rambling from me, let’s get on with the review! This product clears all remaining dirt and old keratin from the skin, and boosts the effectiveness of other skin care products applied subsequently. The mild enzyme extracted from soybeans works with AHA and BHA for maximum skin exfoliation and moisturization. It contains more than 20 active natural ingredients that amazingly soothe and balance facial skin while providing it with moisture. In a way, I figured that this product would be similar to a toner – ‘refreshing’ my skin and improving the effectiveness of other products. Unfortunately though, this product didn’t work for me at all! In fact, my skin had negative reactions to the product and I ended up with terrible skin and break outs for two weeks or so; so bad that I had to break out my Medicube concealer and cushion because I was worried about using normal make up. I was so disappointed about this product, so I had to write this review. Read on for details, as well as suggestions on other products that – in my opinion – work a lot better. Everything that I have tried from Heimish so far has totally blown me away, so I’m pretty happy to finish off this series of reviews with two of their serum rogue lipsticks. Though their products aren’t cheap, they are far from expensive (and are actually pretty affordable), have excellent pigmentation and very pretty packaging – which is often a deal breaker for me. Heimish as a brand has a modern and chic style, focusing on make up styles that are simple and easy to use for all. The attention is on the wearer (you), instead of the actual product. Their ‘No More Normal’ mantra is about makes you stand out – not them. In this sense, I think that Heimish has a very unique approach to make up and it definitely reflects in their range. The following lipsticks were sent to me for review by StyleKorean. From memory, not many stores are stocking Heimish yet (as they are not a roadshop brand) so definitely check them out if you’re interested in any of this. You can also check out my previous review of their eyeshadow palette and waterdrop tint. I love this lip tint. I honestly don’t even know how else to begin this review except for that. I’ve been carrying it in my bag almost religiously so I’ve been using it almost every day – it’s pretty much replaced the old (and now scratched) lip tint that I have from The Face Shop. I brought this to Korea with me, as I did the eyeshadow palette, and I have this one to thank for saving me every time my lips went dry – which was often. 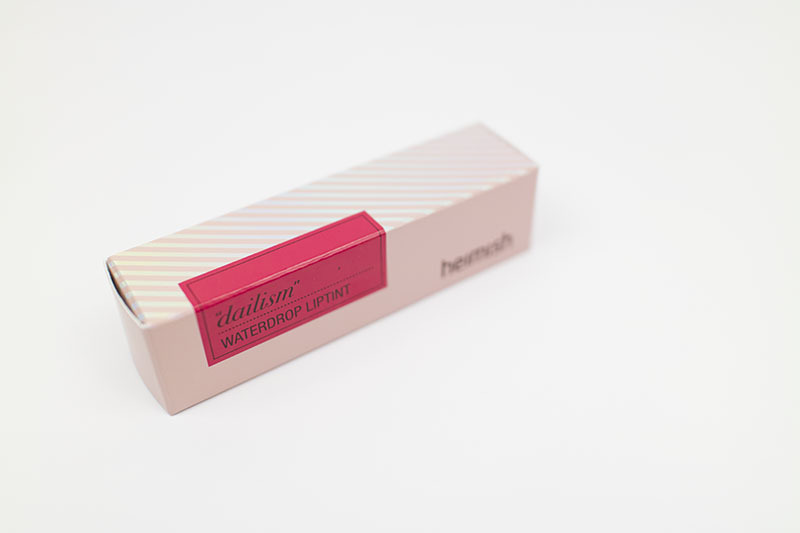 This one is also from Heimish’s Dailism collection and is called their waterdrop tint – most likely a reference to the droplet shaped applicator. 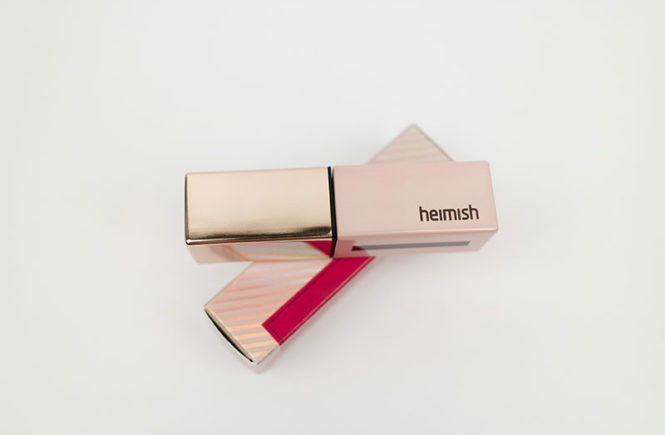 It is a lip stain and, in accordance to the Heimish brand, is meant to be easy to use, wearable and also distinctive. The formula is a bit creamy (like a gel) and is said to contain rose hip seed oil extract – keep lips soft and hydrated too. Read on for my review! 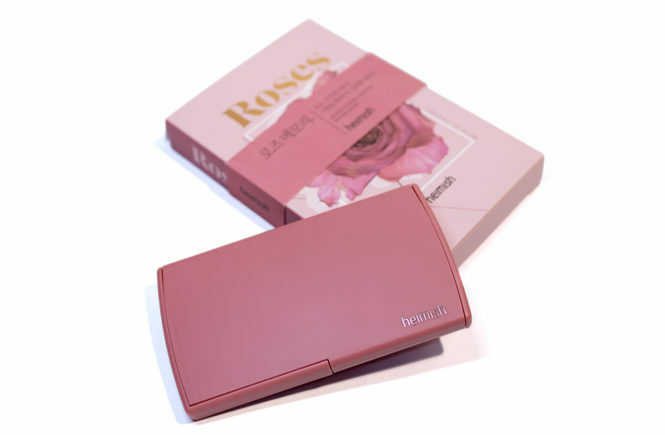 This, along with the other Heimish pretties that I’ve been reviewing, have been sent to me for review by StyleKorean and is available for USD$11.77 (full price is USD$13.08) so remember to check them out! I was originally going to do a haul post of the Heimish products that I recieved from StyleKorean to review, but because I ended up flying off to Seoul soon after, that post was never written and, instead, I ended up really testing out these products. I can put up the haul post if people want, but I was planning on using the same images anyway and I feel like it’s more important for me to talk in depth about the products. 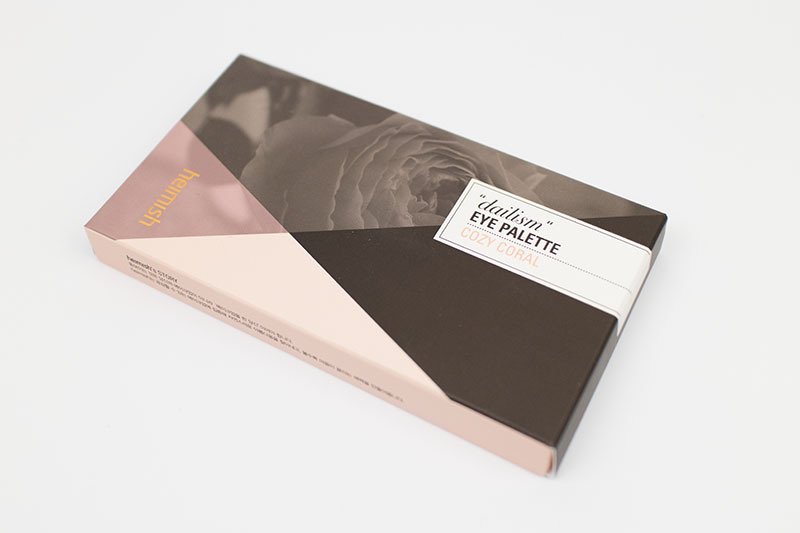 Without further ado, here’s my review for the Heimish Dailism Eye Palette in Cozy Coral. This is actually the palette that I took with me to Korea and, aside from my new matte orange shadow, I used this almost exclusively and can officially state that I love it. 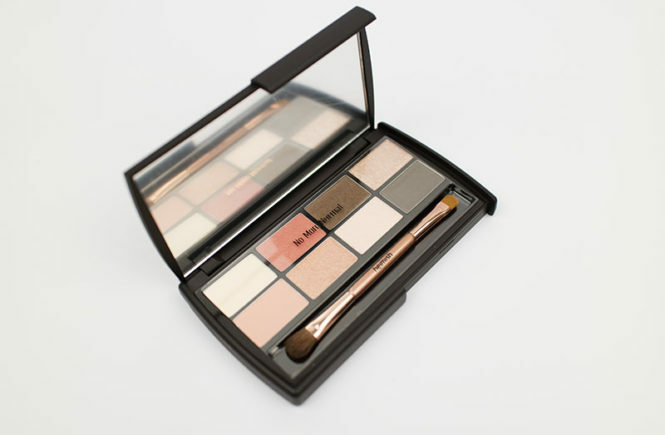 I would definitely make this my go-to travel palette because I find the colours really versatile, buildable and the packaging light and sturdy.